A Tri-Toon with in-floor storage and a layout that everyone will love! 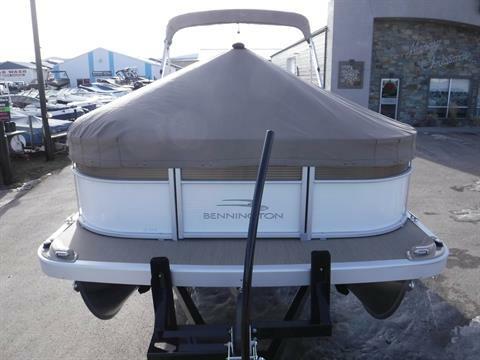 The Bennington "Buy Early and Save" event is saving you $2500 off the price on this model! 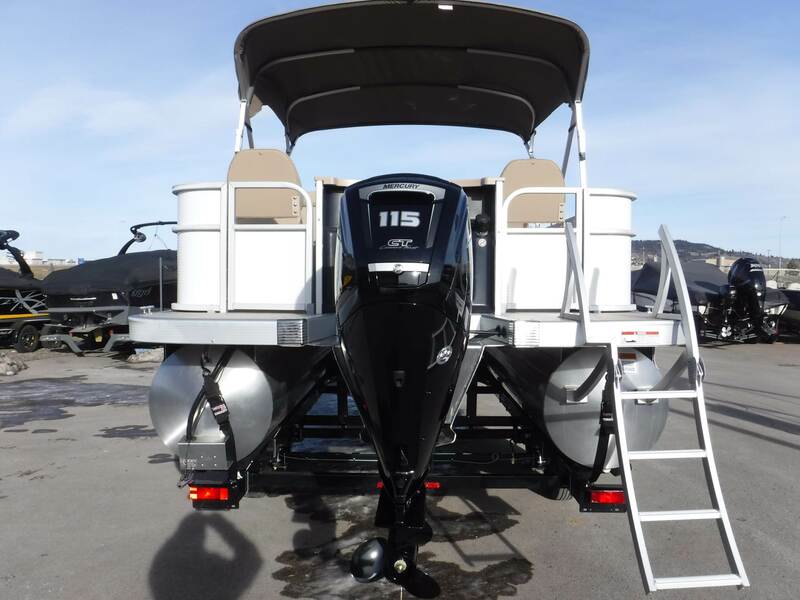 Purchase before Feb 11th to take advantage of these extra savings! Why buy this model? You love fishing, and like the easy cleanup of a full vinyl floor (upgraded to padded designer vinyl). Great for: Fishing, Lounging, Cruising, Tubing, Skiing and Swimming. Tri-Toon performance package, under-deck wave shield, and the massive in-floor tri-toon storage with over 50 cubic feet of storage! Extended bow upgrade with X-package railings. 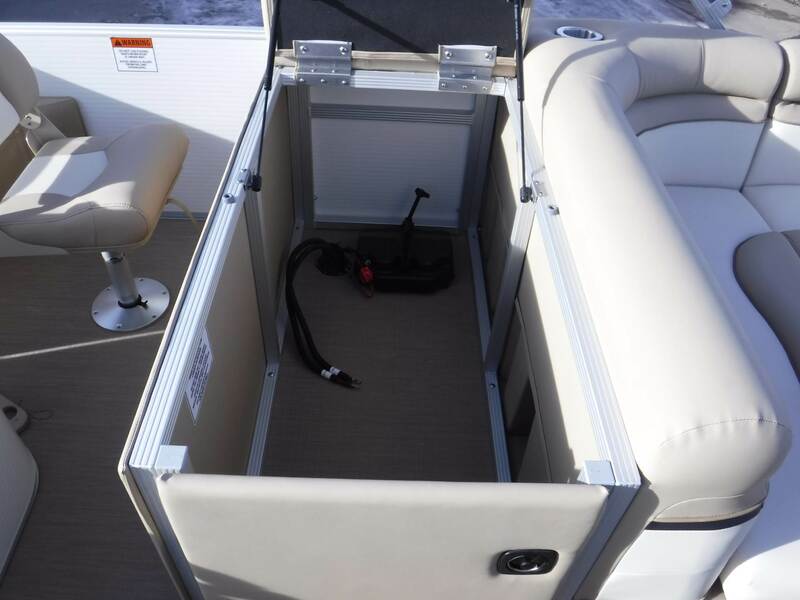 The front section features an upgraded swivel Recliner with own corner livewell and ottoman station with stainless-rimmed cupholder and rod holder. 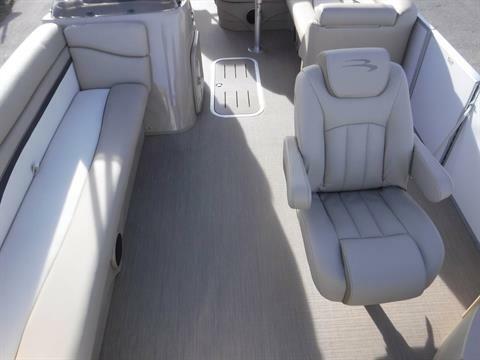 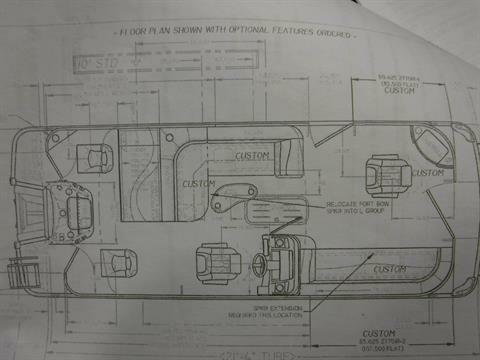 On the starboard side you get a wraparound bench seat for passengers! 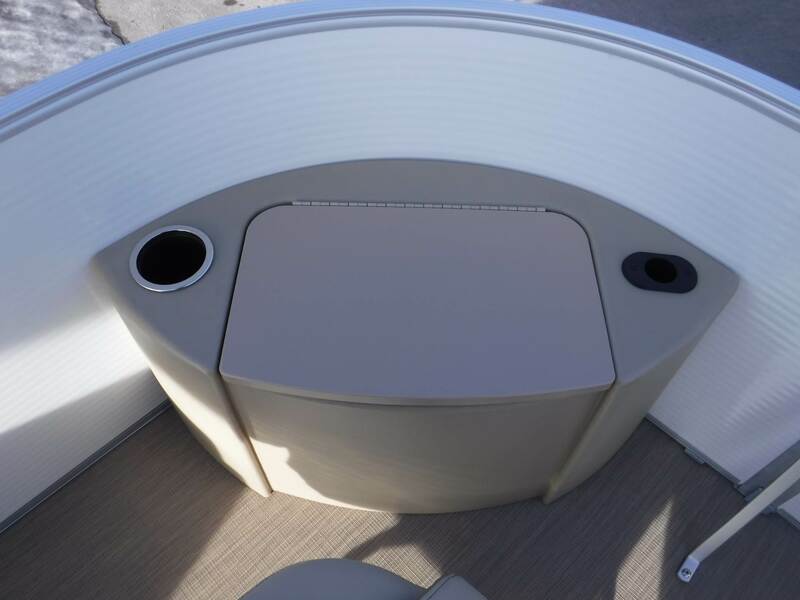 The carpet has been swapped out for the full woven designer vinyl padded flooring throughout the entire pontoon. 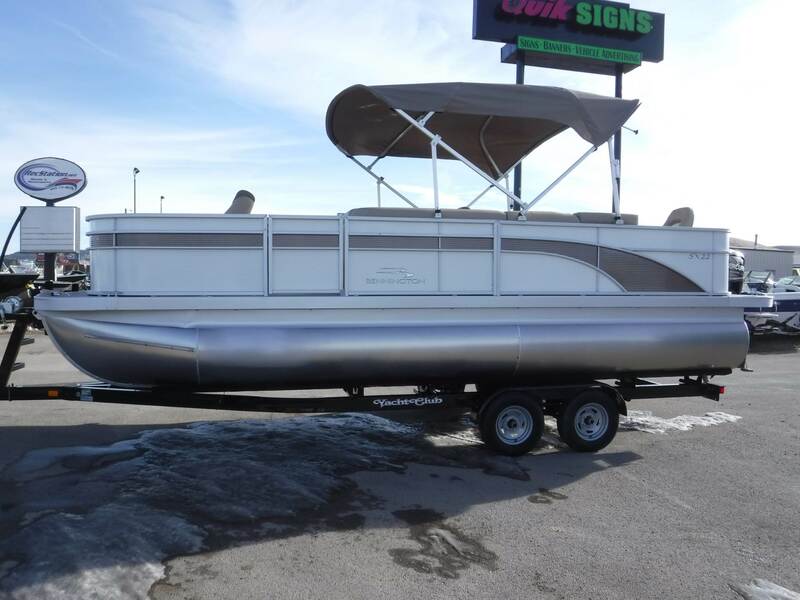 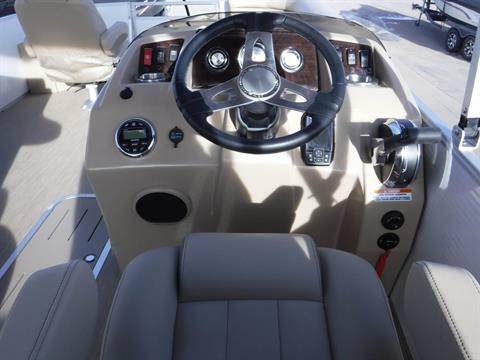 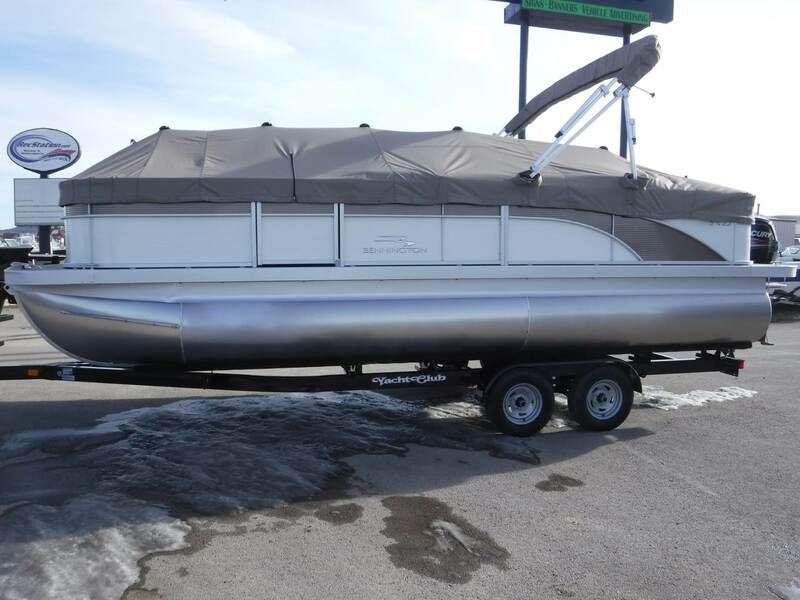 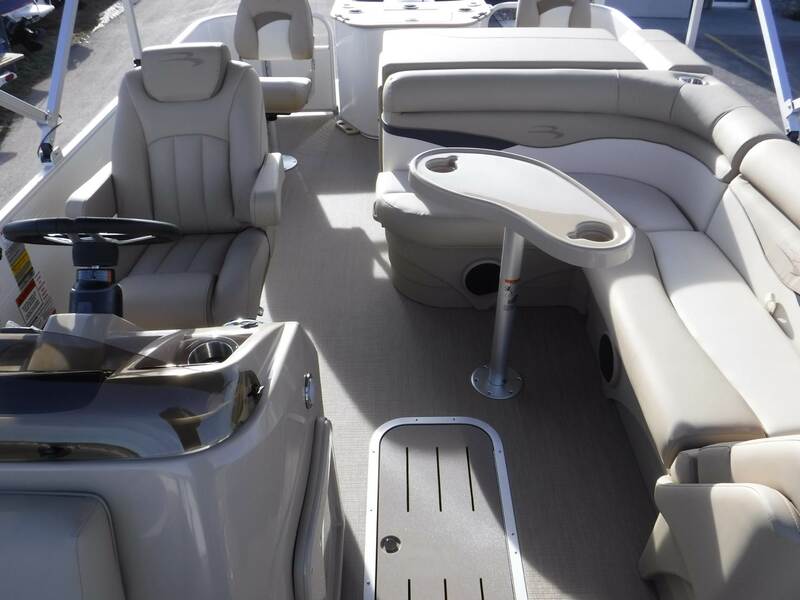 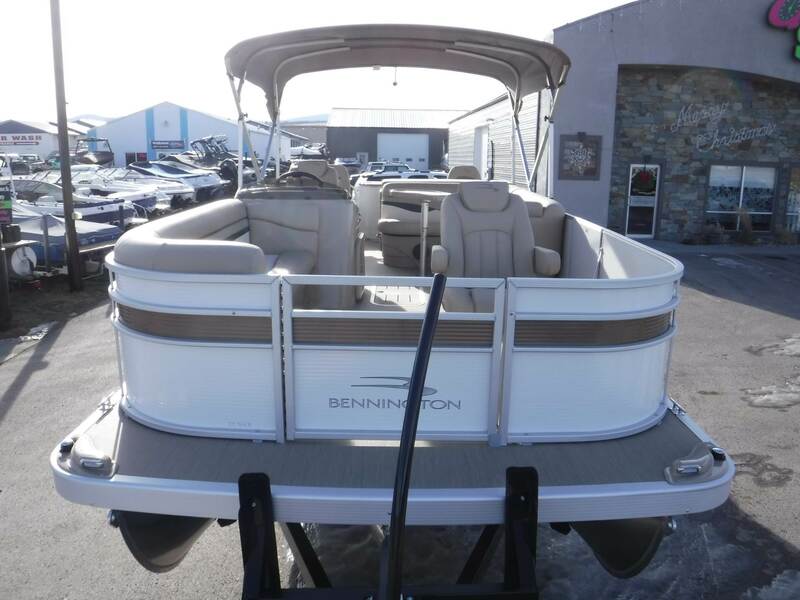 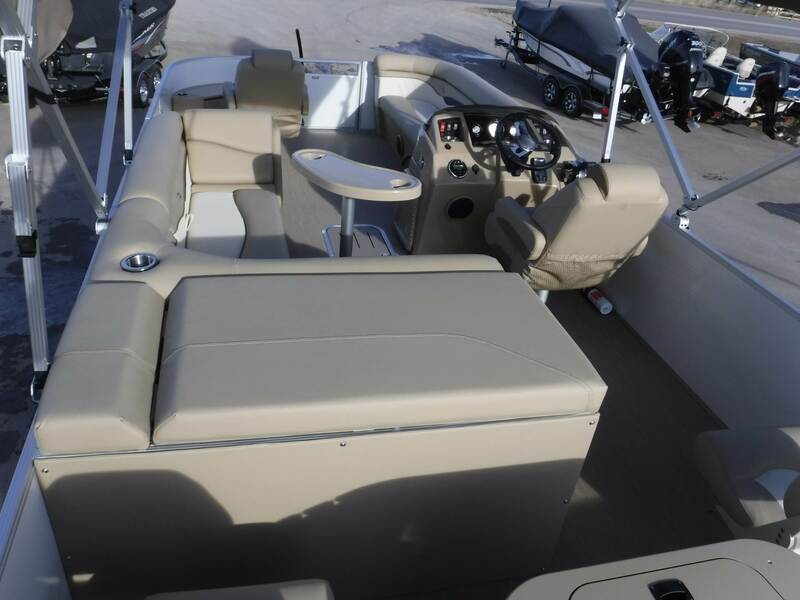 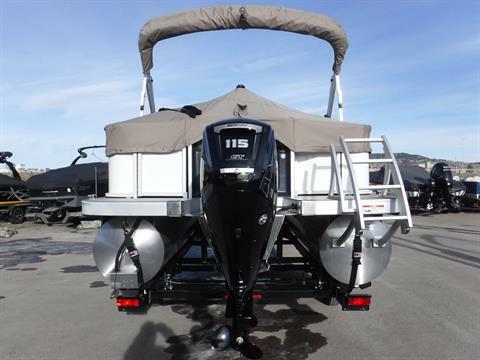 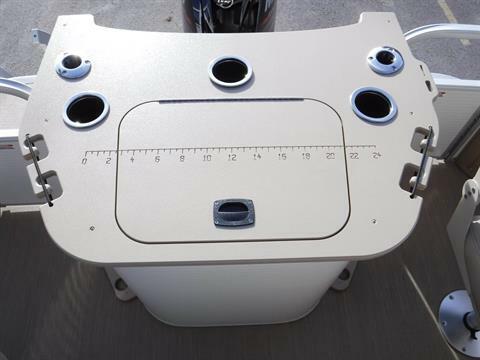 It's a loaded fishing/cruising model with all standard features, plus: reclining captain's chair with tilt steering, built-in-dash depth/fishfinder, Napa soft-touch interior with Carbon Diamonte accents, an illuminated White Ice LED bimini top an extended rear deck with the curved deep-step boarding ladder, a custom cover, and docking lights. 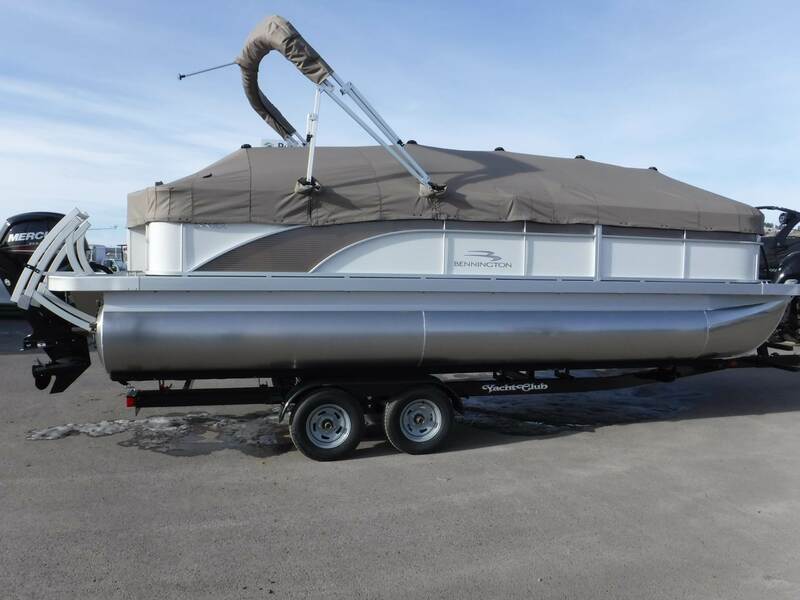 We don't put cheap trailers under our pontoons! 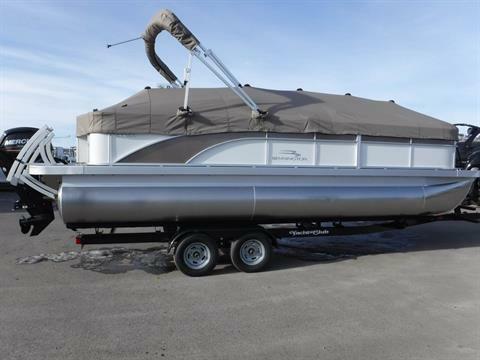 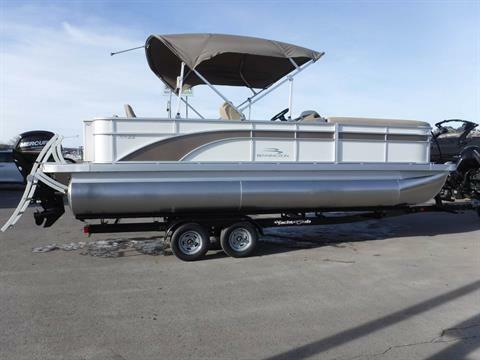 This is a 8.6' wide tandem axle pontoon trailer with brakes and full-sized tires and wheels, and a Free Trailer Upgrade Package (F-TUP). 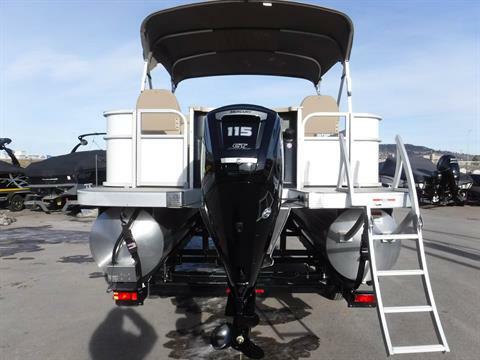 Your F-TUP includes rear trailer loading step pads, a deluxe winch stand with wide-bodied ladder and hand rail, and loading guide-ons. 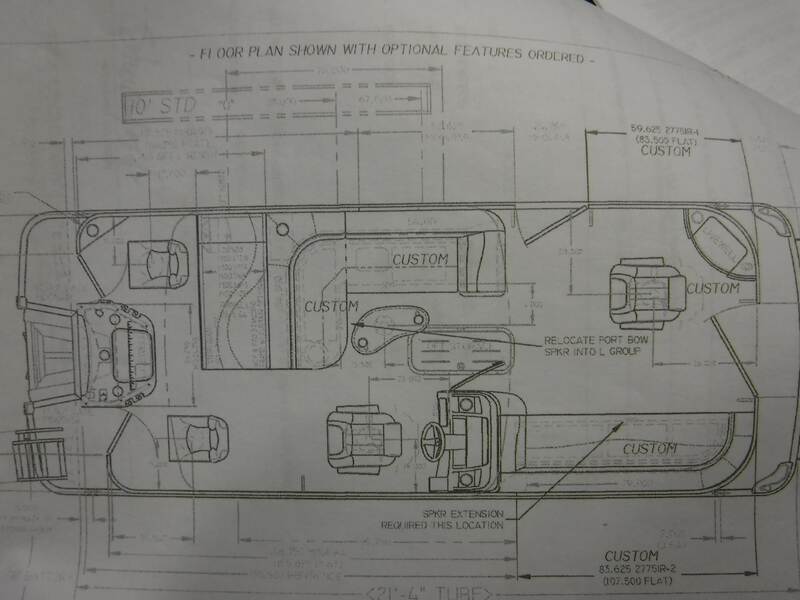 Compare if you dare.